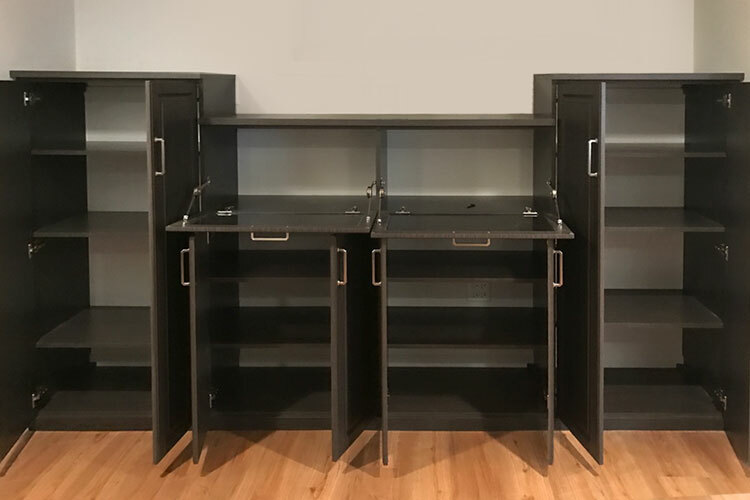 This wall unit and custom home office desk design is masterfully crafted for optimal work productivity. 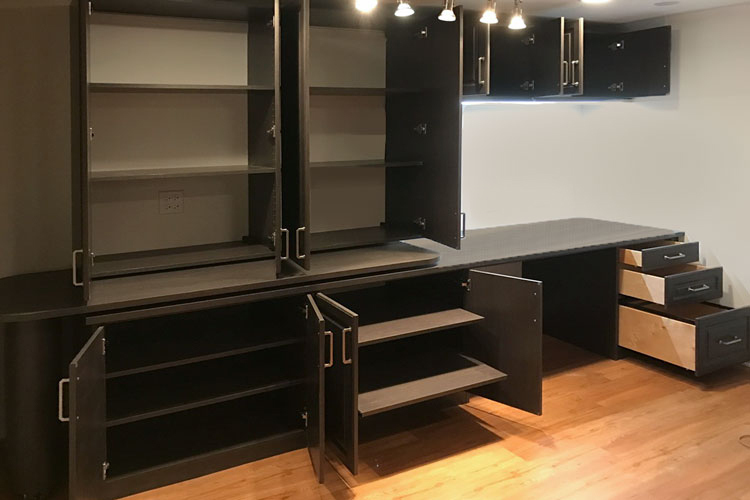 The custom design of the desk/wall unit incorporates our signature Closet Works foldaway desk to provide the largest work area within the smallest footprint possible. 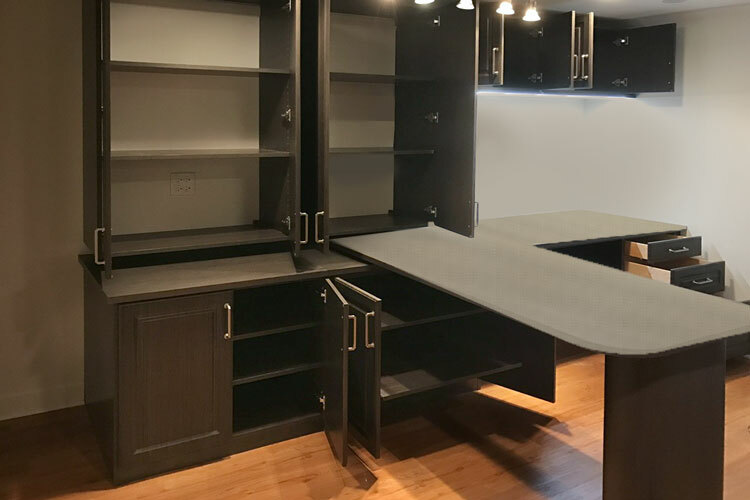 The hidden desk folds out to increase counterspace when needed, creating an efficient "L" shaped work area. 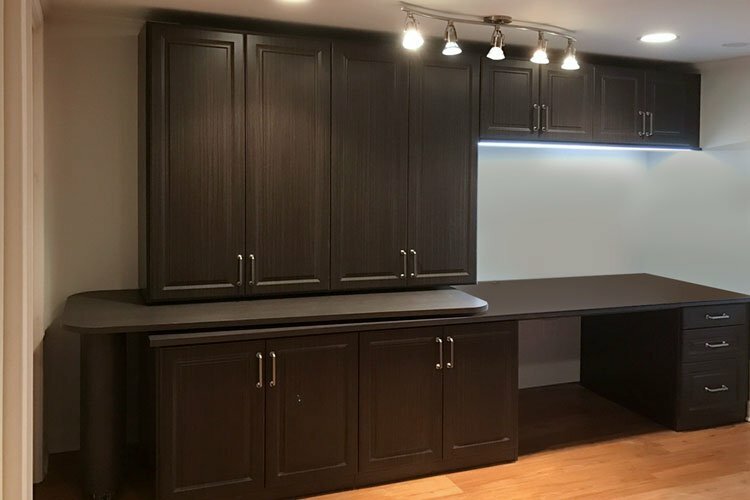 Custom LED strip lighting above the desk area provides the workspace with optimal task lighting and ideal working conditions. 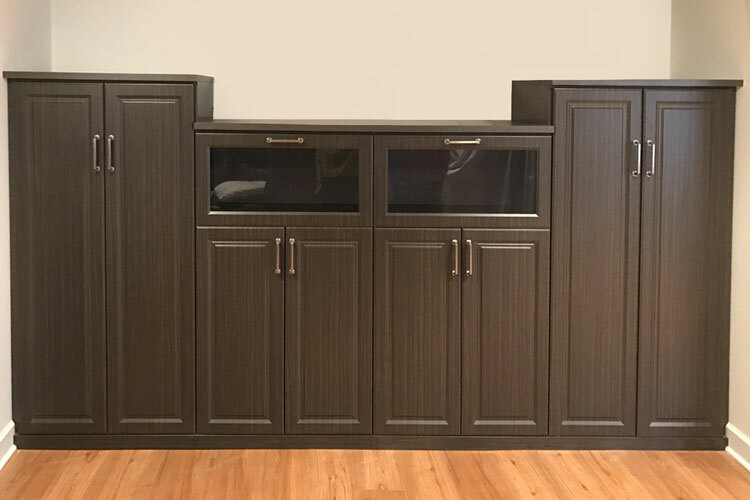 A separate wall unit on an opposing wall allows for additional storage of office materials and even offers a wide space to hold a large television. 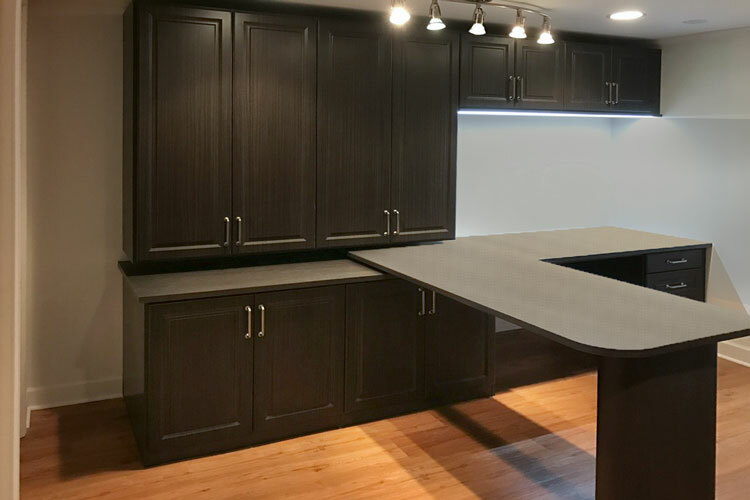 The resulting home office space can be used for a well-deserved break time, or even function as the home's main family room or guest room since the desk can be hidden away during non-working hours, creating a large area suitable for many functions.